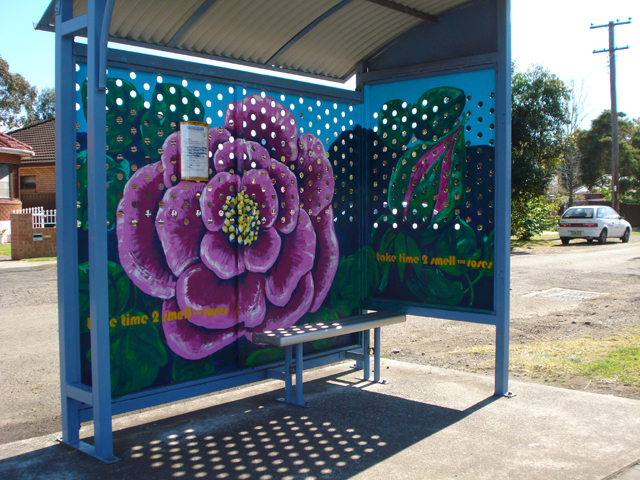 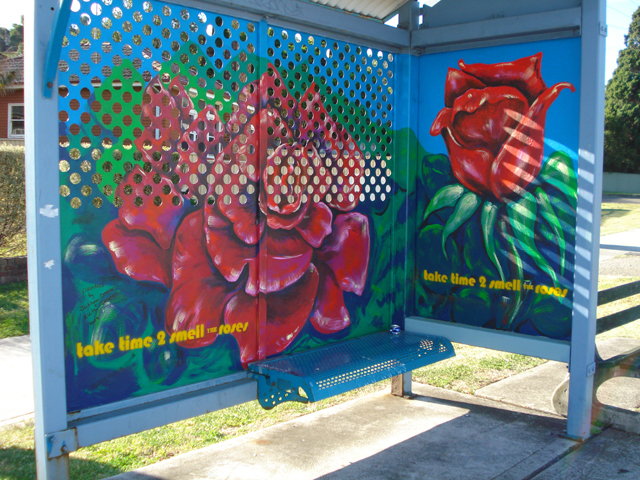 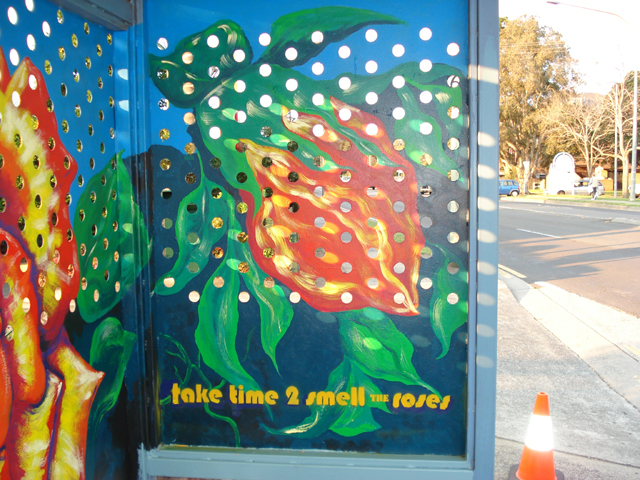 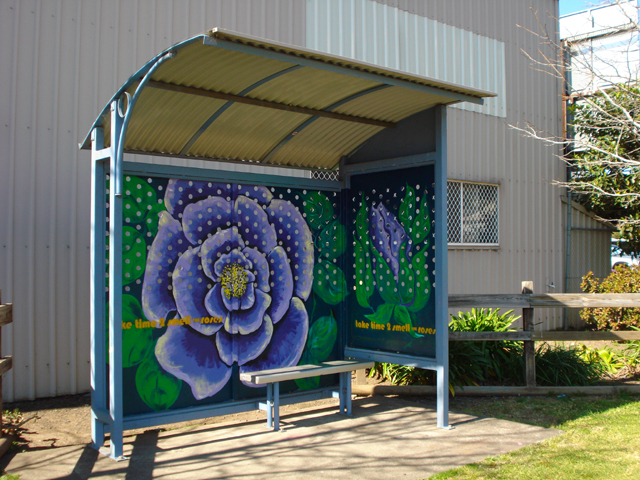 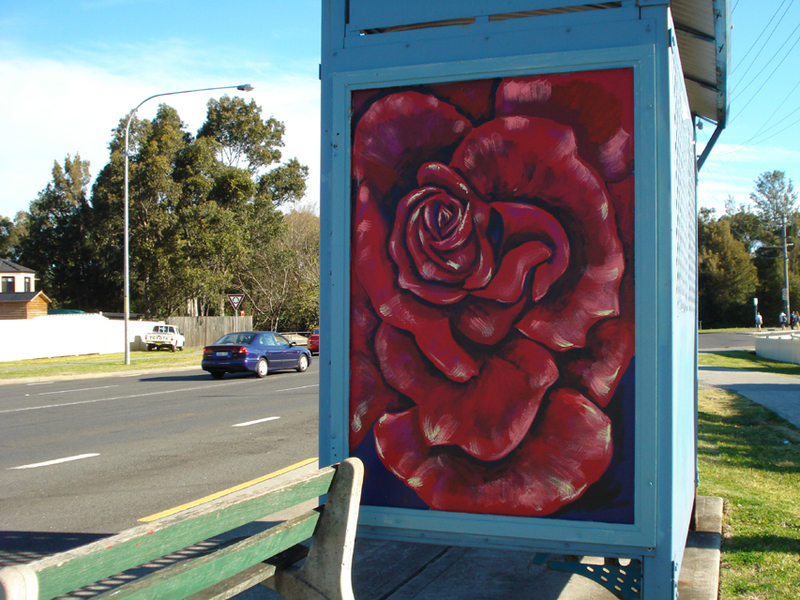 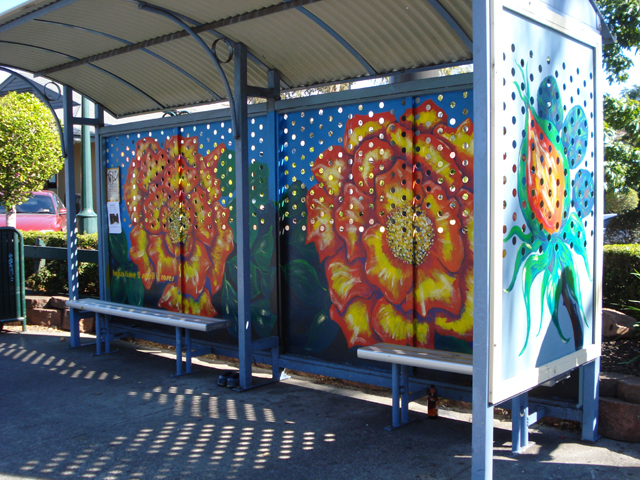 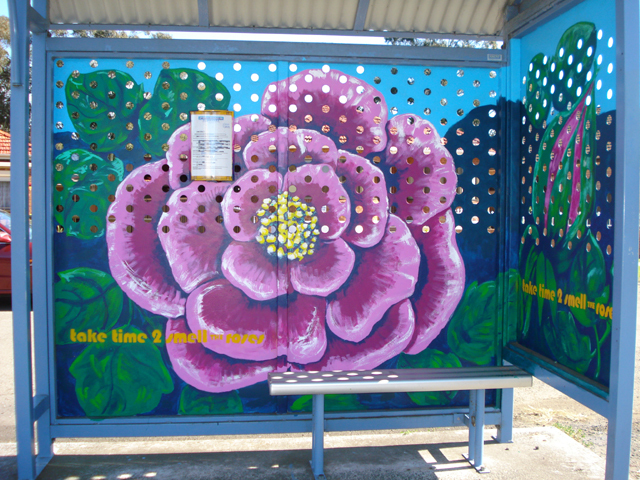 Take Time To Smell the Roses was a bus shelter mural project by Wollongong City Council in 2009, designed to reduce graffiti tagging and encourage community ownership of public space. 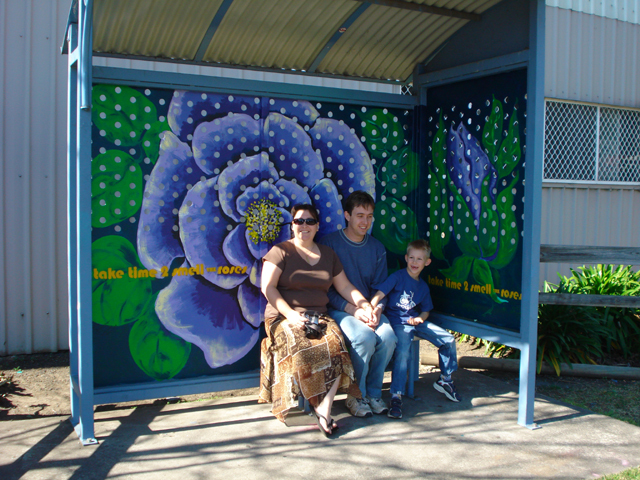 I painted 4 shelters which were all in Unanderra. 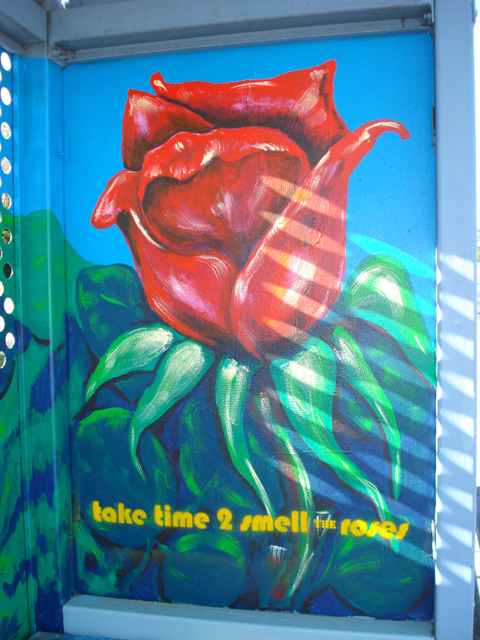 Two have now been moved and I do not their whereabouts. 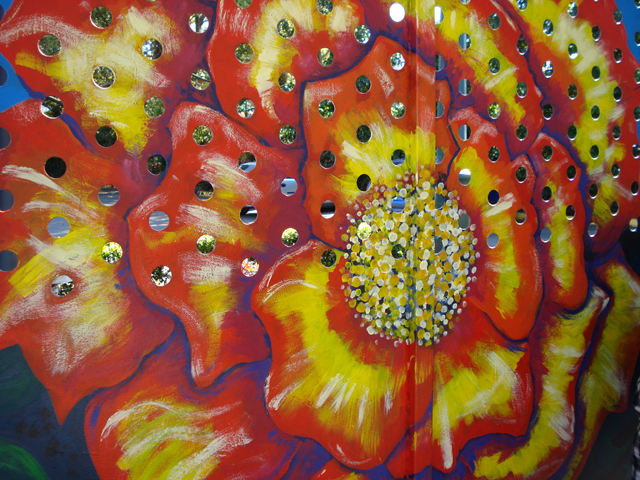 My mum, Edith Draper assisted with the painting.